Do you buy second hand clothes? I’ve always loved a good charity shop, and since making my ethical fashion pledge, I’ve found myself trawling through them all the more regularly. I’ve always found buying second hand ticks a lot of good boxes for me- it is usually more affordable, often more unique, it saves waste, and the money often helps out a good cause. Those are a fair few reasons to feel good about your purchases! TRAID are a particularly exciting kind of charity shop I think, especially if you are interested in ethical fashion. Trust me, they are a bit cool. They have charity shops all across London, each with their own vibe and stock to go with it. From upmarket vintage, to East London quirkiness, it is all there. They also go way beyond just charity shop stores: For a start, they have their own ethical clothing brand TRAIDRemade which uses reclaimed textiles to create decidedly cool pieces of tailoring. The website is full of projects for using old clothes, ideas on how to make clothes last that bit longer, as well as workshops and events in London. Plus, their proceeds go to projects that help improve working conditions in the textile industry. Yup, these guys are taking second hand shopping to a great new level, and they’re getting as many people involved as possible. Anyway, to the point of this whole post! This week is #secondhandfirst week. TRAID want people to think about trying to buy things they want or need second hand, before buying new. It is about reducing waste and they have a whole host of ways to take part over on their website, but basically, get hunting out your second hand clothes.Whether they are from Ebay, charity shops, swapped from a friend, vintage, remade from something else, whatever it may be, wear them! 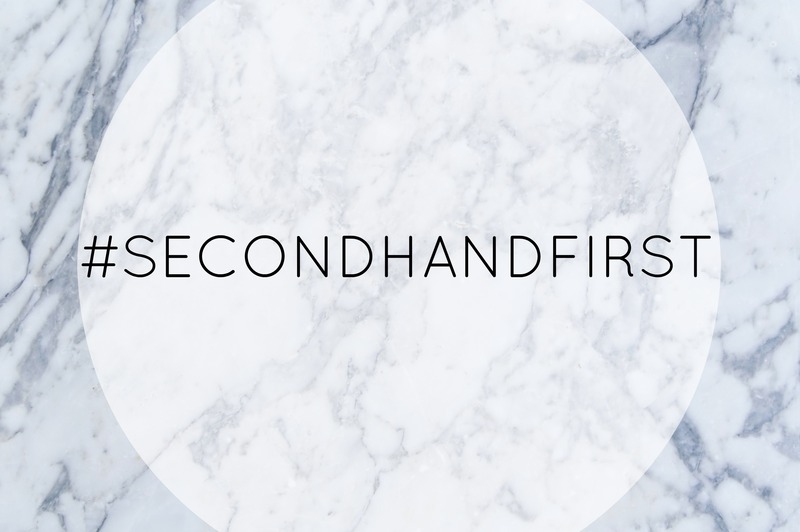 Take some selfies, talk about it, and tag any tweets or photos with #secondhandfirst! Seeing as I reckon at least half my wardrobe is second hand anyhow, I’m going to be putting together some outfits with my favourite items and merrily tweeting away. Plus, I think this is exactly the right time for me to finally get on and write some of my favourite tips for hunting out second hand treasures… Pop back this week and see! If you decide to take the #secondhandfirst pledge too, send me your twitter and instagram links- I’d love to see what you come up with too.